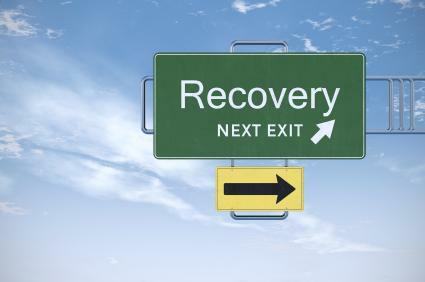 SMART Recovery is a program seen as an alternative to AA or other 12-step meetings. SMART, which stands for Self Management and Recovery Training, is a completely secular program - with no mention of a higher power - and it is based on therapeutic methods, not the Big Book. There are no specific clubs based on drug of choice. Meetings welcome those with alcohol, drug and/or gambling problems. The facilitator welcomes the group to the meeting and gives an overview to newcomers. Members are invited to introduce themselves and give a check-in statement on how their week is going. The facilitator introduces the topic and agenda for the day and shares a story or asks a question, or leads a lesson. Members are asked to reflect and to set recovery goals for the upcoming week. The meeting is adjourned, and newcomers are offered literature and a meeting list. All members may also get some worksheets or exercises to complete. All meetings are free, and each club is funded through donations. SMART does not view its members as powerless over their drug of choice. Instead, it sees addiction as a mental struggle a person can conquer to become powerful enough to resist temptation. It uses a technique known as REBT, or rational emotive behavior therapy, to help individuals understand why they use and how their self-defeating thoughts are what hamper their recovery. Changing those thoughts is the definitive goal. Again, the main focus is on behavior changes and problem solving. The SMART program does not suggest that members obtain a sponsor or serve as a sponsor to anyone else. Instead, members are encouraged to foster friendships within their home group by attending regular meetings. Some members, and even non-members, are invited to train to be facilitators, with the preference being toward members with a high degree of attendance and participation. Since SMART Recovery, like AA, preserves the anonymity of its members, there is no reliable way to measure the success rate of the program. However, you can gain some insight on why people prefer this program from online reviewers. Steven Slate prefers SMART over 12-step because he doesn't like the idea of viewing addiction as a lifetime disease. "The facilitator of the meeting mentioned several times that they do not view addiction as a disease, and that they see people as responsible for their own choices and behavior," he writes. He also liked pulling attention away from spirituality. The only drawback in his eyes was the abstinence-only approach, which he does not see as realistic. Tom Horvath, Ph.D. wrote in the Huffington Post about the focus on empowerment. "In contrast to the 12-step approach, self-empowering groups [like SMART] support individuals in taking charge of their lives rather than accepting powerlessness and turning their lives over to a higher power." He also mentions, though, that there are less than 1,000 meetings worldwide, in sharp contrast to AA's hundreds of thousands. You can read about many positive points for SMART on Three Minute Therapy. Whether you agree with them or not is a different story. According to this site, "In stark contrast with AA, one of SR's major goals is to help participants avoid addiction to recovery meetings--that is, to quickly learn and practice empowering outlooks and strategies on their own." The implication is that SMART is regarded as a short-term program to take advantage of as needed -- not as an ongoing lifestyle. Whether SMART Recovery is "better" than AA or other groups is really a matter of personal preference. Different programs work for different people, and it's okay to try more than one before making that decision. The best procedure to finding a meeting is through the SMART Recovery website. If you can't find one in your area, you can also attend one of many online meetings, which use text or voice chat and are available to recovering persons worldwide.